Sam grew up in Tynemouth and completed an Bachelors Degree in Real Estate and Built Environment at Sheffield Hallam University in 2013. After completing his degree Sam relocated to London and joined Beresford Residential as a Property Consultant. Since starting with Beresford Residential Sam has proved to be a consistent performer and has received a number of personal reviews praising him for his professional approach to his work. Sam is currently studying towards the NFOPP Technical Award in Residential Letting and Property Management and in 2016 was promoted to the position of Senior Property Consultant. Thanks to his continued dedication and professionalism, Sam was further promoted in April 2018 to Assistant Branch Manager. “Sam is very professional in his approach to work and I've heard lots of feedback from people who say what a pleasure he is to work alongside. 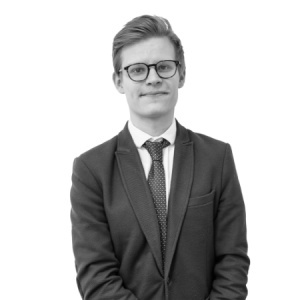 In a relatively short space of time Sam has developed a very strong grasp of the local market and this in turn has helped him advise our landlord and vendor clients during complex transactions."